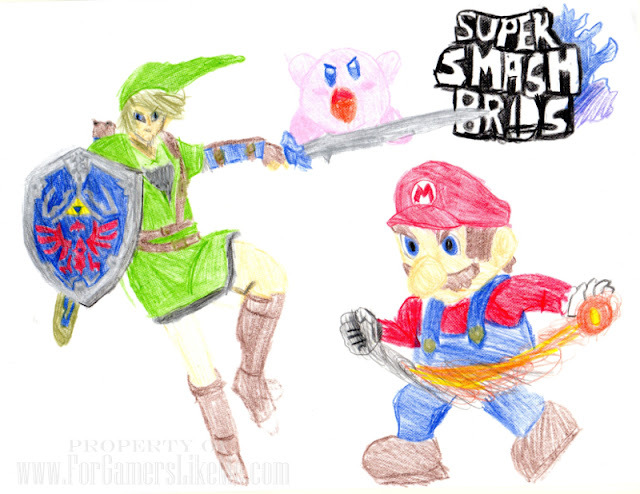 This is some fan art of my favorite game on the Wii U, Super Smash Bros. My favorite character is Link (far left). My sister's favorite character is Kirby (top). My brother's favorite character is Ganondorf (not shown). Mario is one of my brother's worst enemies.